Apple has always been able to come up with revolutionary products iPod, iPhone, iPad, etc. It’s no secret that Apple has captured the imagination of countless designers across the globe through their designs. These are often a key source of inspiration for many who is related to the design field. In the below post we are going to present you the best iPad Mockup Designs which will provide you an ideal platform to showcase your designs in style. 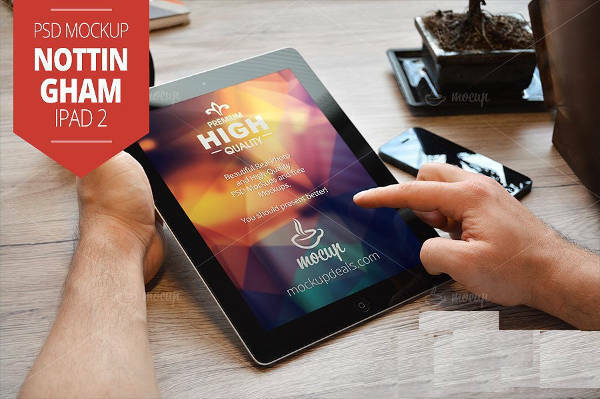 iPad Psd Mockup will offer you a perfect platform to showcase your designs. You will get a PSD file, and this pack contains three different colors for you to choose from. Download this template and customize to suit the needs of your project. You can also see the iPad Screen Mockups. This Photorealistic iPad Mockup offers a clean and photorealistic design and it is available with well-organized layers which will help you in showcasing your designs. It allows the usage of smart objects too. You may also see Responsive Mockups. 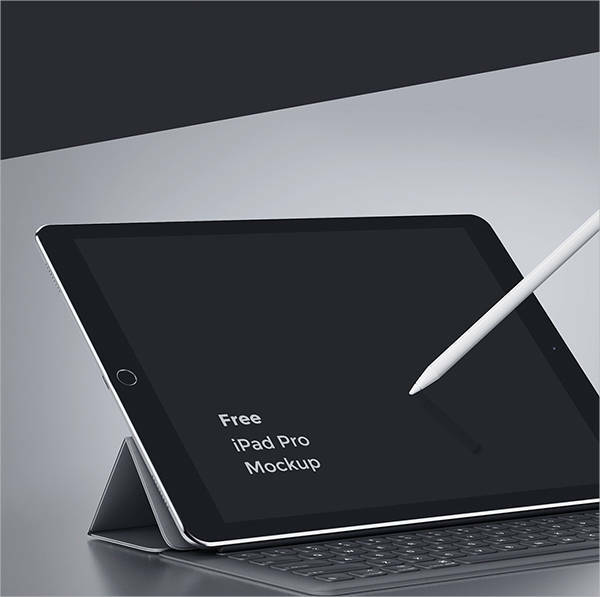 This iPad Pro Mockup is available with a sleek design, and it can be edited effortlessly through Photoshop. It is available in high-resolution, and it allows the usage of smart objects too. You can easily add your designs to the screen via smart objects. You may also see Desk Mockups. 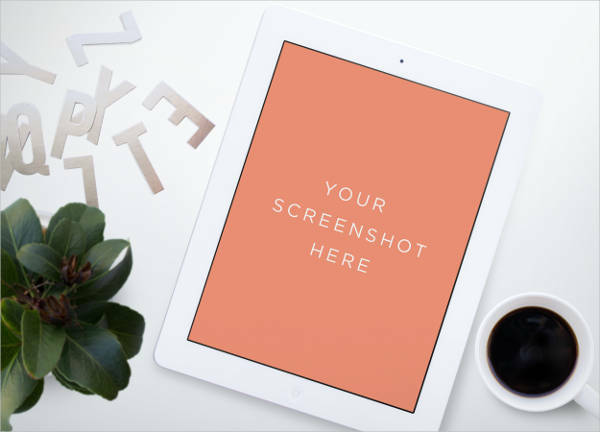 iPad Screen Mockup is a beautifully designed mockup that is available with a high-resolution of 5472×3648 px. You will get eight different PSD files, and it is entirely customizable through Photoshop. It is easy to use, and you can use smart objects too. 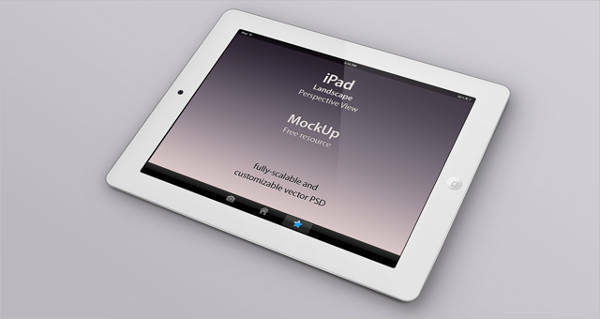 You can use this Realistic iPad Mockup to showcase your iPad apps with twelve amazing iPad mockup designs. The mockups that you will get in this pack is highly realistic, and they will add additional spark to your designs. 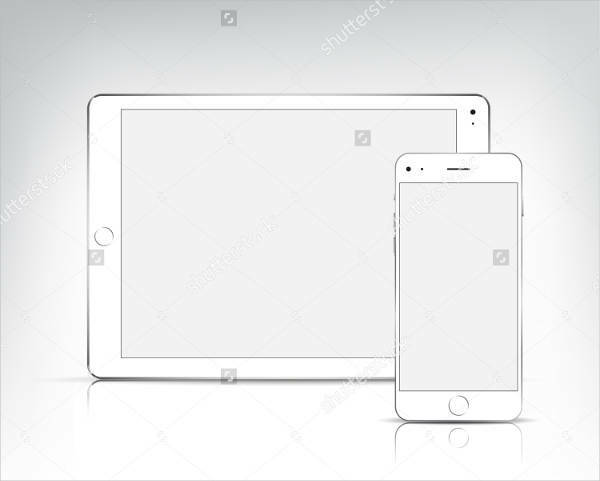 This Vector iPad Mockup is available with high-resolution, and it is fully customizable, and it is very easy to use and can be utilized for both personal as well as professional purposes. 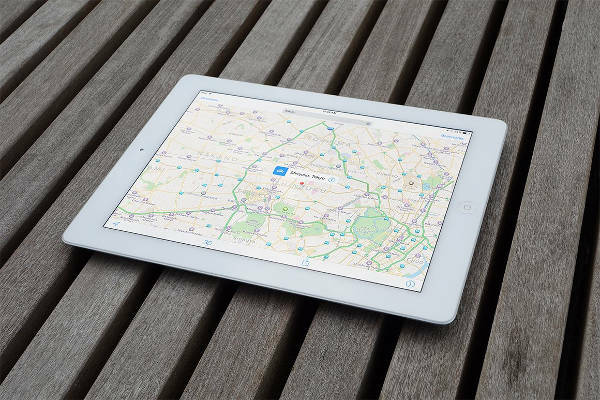 Download this iPad Closeup Mockup as this is a pack that contains eight files with an accent of the realistic lighting and depth of field. You can use this mockup for various design projects like websites, themes, applications and much more. 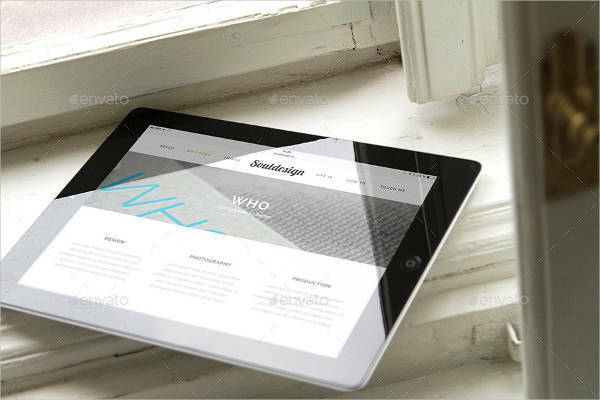 You can use this High-Resolution iPad Mockup to present your design works to the clients in the most appropriate way. This mockup is available with a high-resolution, and you can edit it using photoshop. 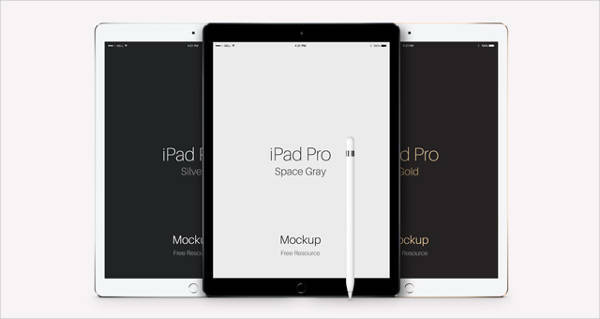 Different iPad Mockups is a pack that contains eight differently styled mockups that you can use for your design projects. It is available with a high-resolution of 2999×1849 px and you will get a fully layered Photoshop file and can use smart objects as well. 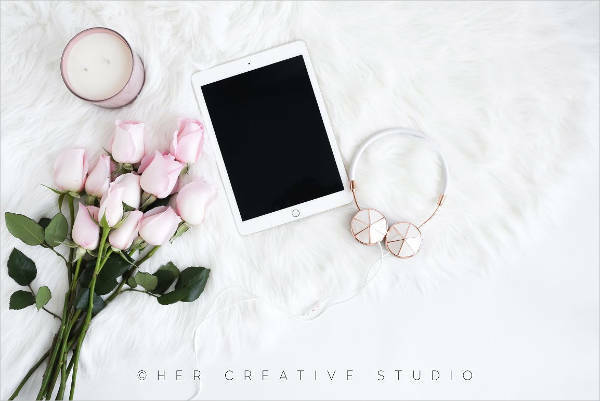 Simple iPad Mockup is a creatively designed iPad mockup design that is perfect to be used for projects related to web design, social media, digital marketing. This mockup will be an excellent choice for the graphic artists, bloggers, marketers, online shop owners, etc. 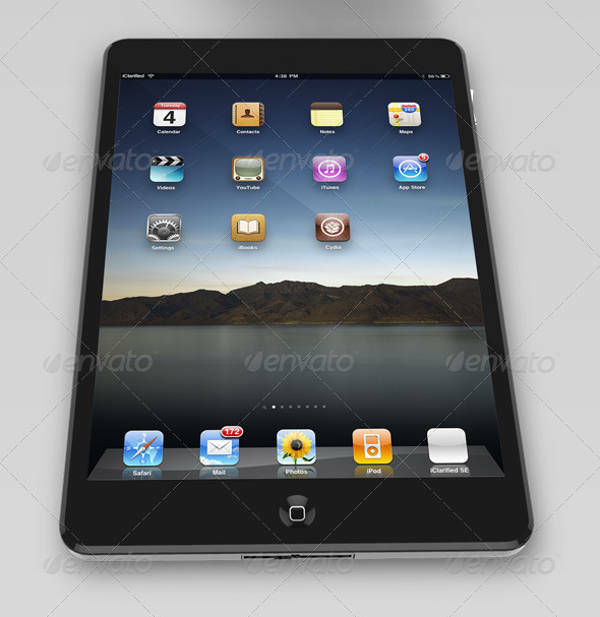 You may also like the iPad PSD Template. 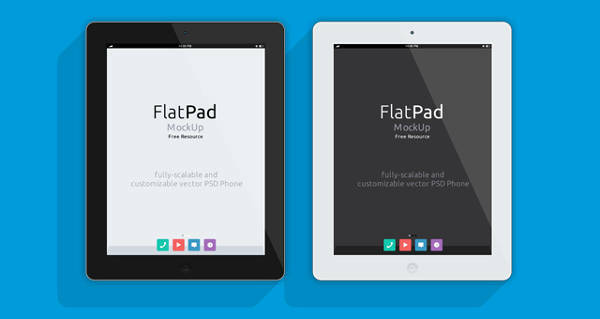 Flat iPad Mockup is a flat iPad mockup with a lovely design. You can use smart layers with this mockup and apply any of your design on this flat design mockup. It is available in black and white color, but you can customize it as per your liking. 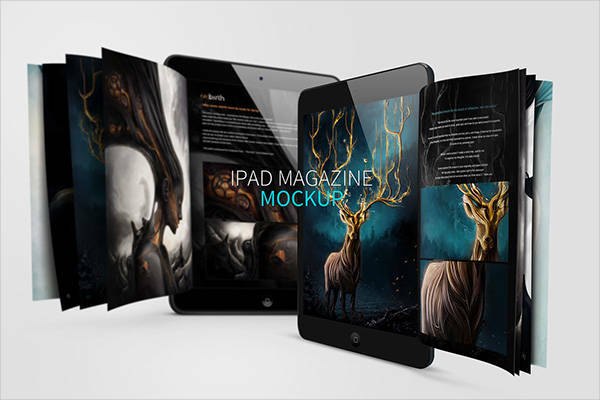 iPad Magazine Mockup is a creatively designed mockup, and it will be an ideal choice for designers. This mockup will provide you with the best way to showcase your design works in the most elegant fashion. 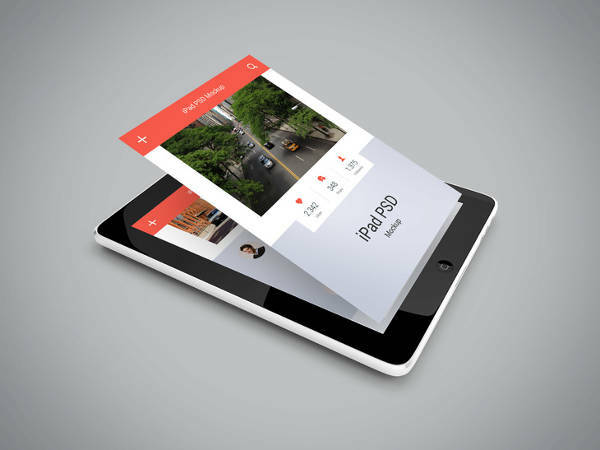 iPad Perspective Mockup will be a great choice of mockup for those working on web or app projects. Just drag and drop your designs to the smart layer and this template is detailed and fully scalable to suit the demands of your designs. You can download and use this iPad Mini Mockup to showcase your app in a stylish manner, and the PSD file that you will get with this mockup is very easy to work with, and it allows easy customization and usage of smart objects. 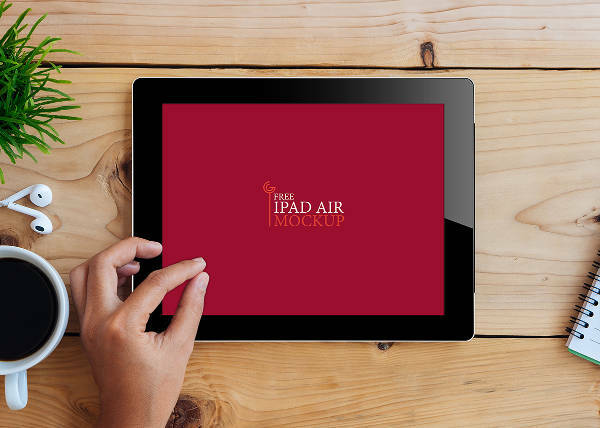 iPad Air Mockup is available with a simple yet elegant look, and it offers a perfect platform for you to present your designs. It is available in high-resolution, and you can bring in further modifications in it through Photoshop. 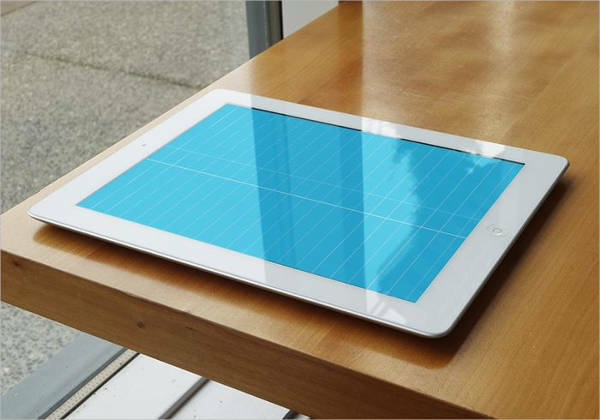 How to use these “iPad Mockups”? Good design is not an easy thing to create, and it is not always possible for the designers to come up with creative designs. However, there are ways through which you can improve your design skills. 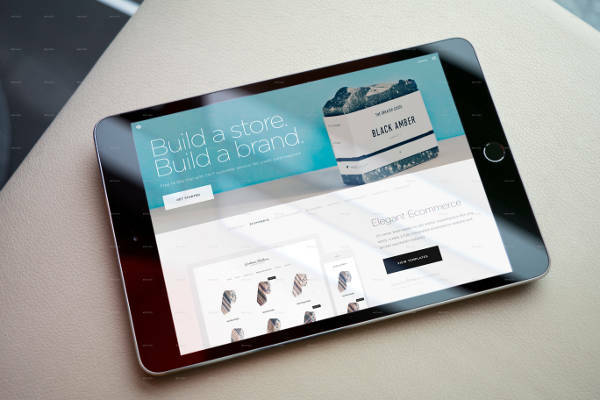 And the Elegant iPad Mockup Designs as mentioned above should be able to inspire you in your quest for creative excellence.